It was a very sad day on Monday when Dennis brought back the rented sports car and returned with his folding mini bike. Back to reality… 🙂 We had a great time in the car and I would recommend that to anyone touring PEI – so much fun! We started off on Sunday morning by visiting Anne Shillolo and her husband Frank. They were heading to their cottage in Newfoundland and stopped to see PEI. Anne is great person – she lives in Sprucedale, ON and lives off the electrical grid. She is a teacher and when I put in my notice of retirement, she applied and is now the new Educational Technology coordinator for the Near North District School Board! She’ll be great! After our visit, we toured the Green Gables Shore. I have to say that it was beautiful – much of the route is right by the sea and is mixed in with little villages and farms. 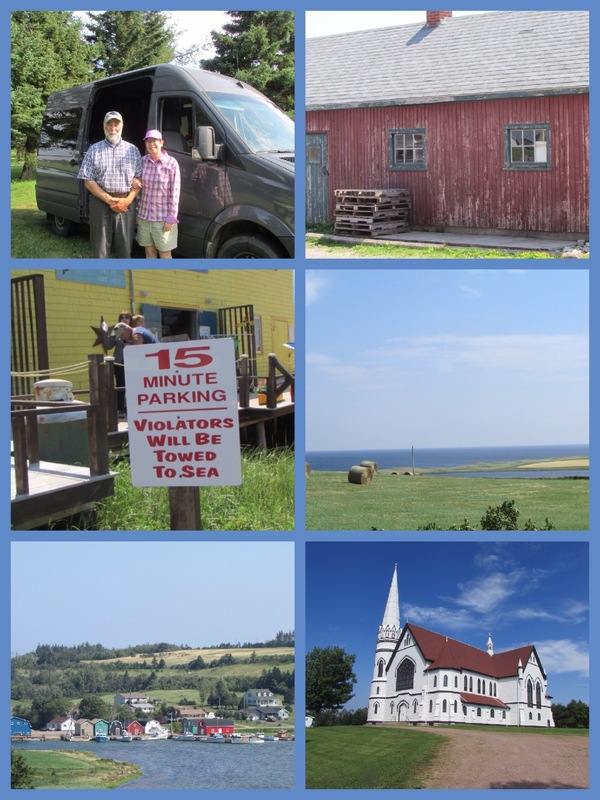 As a matter of fact, we came across the most photographed scene on Prince Edward Island and you should be able to pick it out in the collage of pics below. 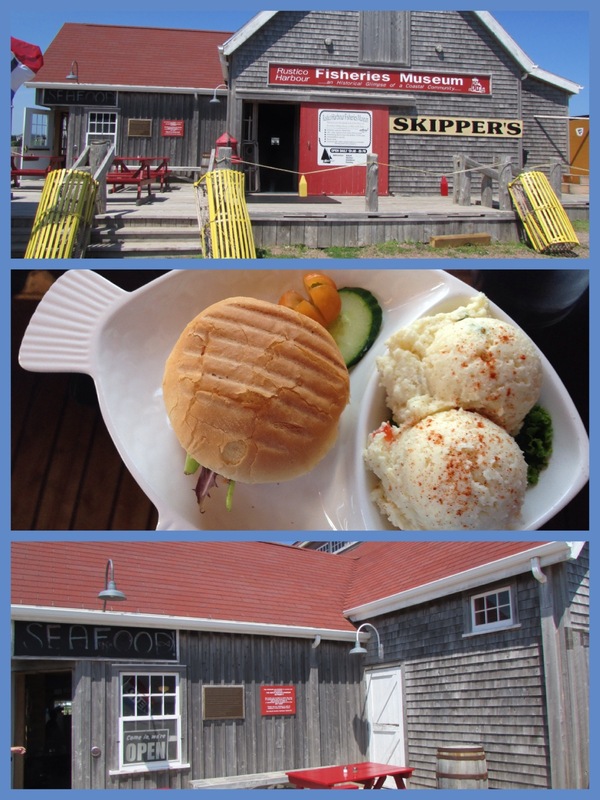 We stopped in Cavendish and even though we had ridden our bicycles from Halifax to PEI in 1984 (and had stayed at Cavendish National Park), it was as though I had never seen it before. Very pretty with lots of tourists and all sorts of things to do. We drove around some more – visited David and Joy in Montegue – and then went to Charlottetown to do a bit of shopping. We got back to the boat at 5:30 and were totally exhausted! I guess all that driving in the sports car wore us out! Here are a few pictures of the day. The top left is Anne and her husband Frank and the rest are a variety of shots along the Green Gables shore.